"Great location near to vivo and sentosa." Have a question for Harbour Ville Hotel? "Location is very good and accessible with bus." 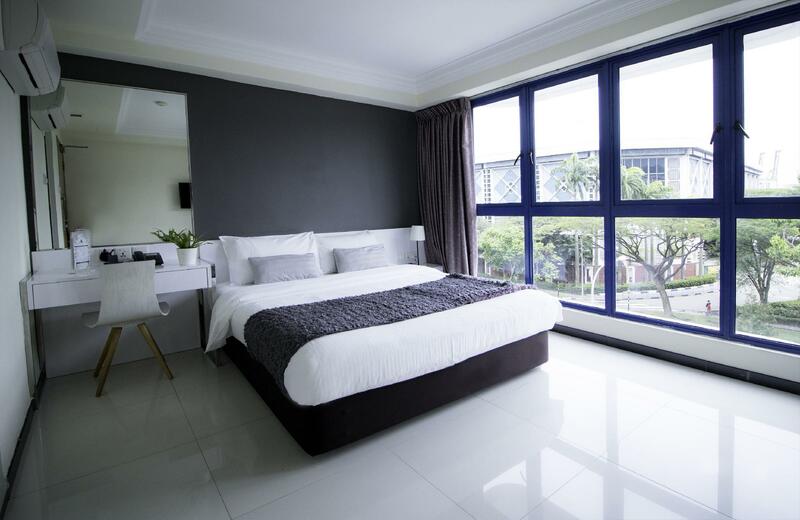 "Free parking at the hotel is a big bonus"
A stay at the Harbour Ville Hotel will make your Singapore vacation much more memorable and enjoyable. 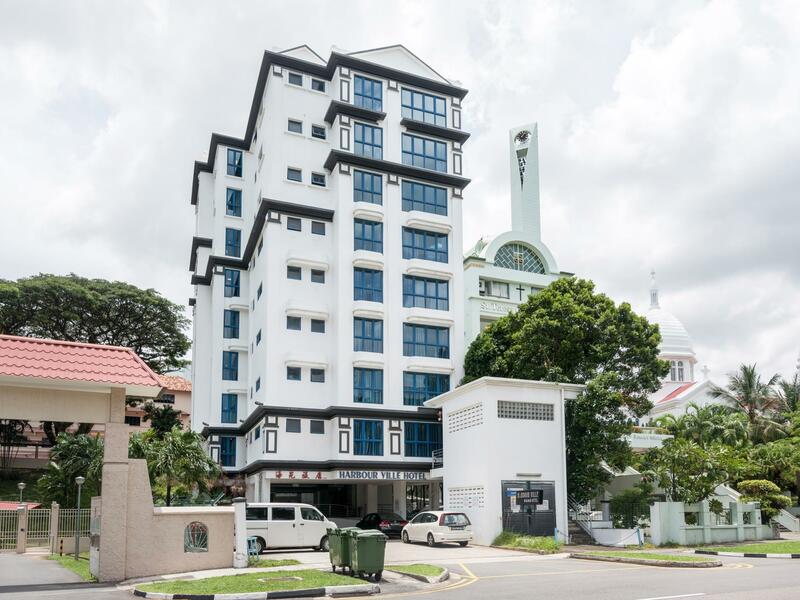 The hotel is near Dong Yue Miao, Church of St Teresa, Mesjid Temenggong Daeng Ibrahim, Silat Road Sikh Temple, and Ikkan Gallery. It has a fitness center and a spa among other amazing facilities. The Harbour Ville Hotel has numerous convenient features, such as a laundromat, a shrine, a currency exchange, a smoking area, as well as safety deposit boxes. Whether it's a bar or restaurants on-site, it offers a range of dining and snacking choices for guests to enjoy. With tours available, the Harbour Ville Hotel is a great spot to stay to learn about the area and see everything you can while you're here. There's free Wi-Fi in all rooms, as well as Wi-Fi in common areas, allowing you to access the web without splurging on data and roaming costs. The Harbour Ville Hotel provides a range of convenient services, which include a concierge, laundry services, as well as daily housekeeping. All of the rooms come with air conditioning, linens, a closet, and a mirror, as well as towels, a coffee or tea maker, a wake-up service, a desk, and more. The front desk is open at all hours, ensuring that there is always a member of staff behind the desk to help you whenever you may need. Hotel staff speaks English, Hindi, Japanese, Mandarin, Indonesian, and more. This Singapore hotel accommodates pets, so you won't need to worry about finding a pet sitter for the time that you'll be away. Check-in is offered from 02:00 PM and check-out is until 12:00 PM. The Harbour Ville Hotel provides express and 24-hour check in and check out, so you can conveniently use the service that best suits you. This hotel has a range of transport options including airport transfers, taxi services, and bicycle rentals. Harbour Front MRT Station is 1.1 km away and Tiong Bahru MRT Station is 1.5 km away. The nearest airports are Changi International Airport (SIN)-Singapore and Hang Nadim Airport (BTH)-Indonesia, which are 20.4 km and 35.5 km away. "Hotel is clean, comfortable bed and friendly staffs." Additional bed is only available for the Superior Queen (with an additional charge). it was perfect for me. Same view with pic and Warm staff especially Lovely. Harbour ville hotel made me have good memories. only no swimming pool but the staff recommend another swimming pool she was also kind and it was also nice. thanks so much. The location is not far from USS/Sentosa, also a bit far from MRT which then require to take the bus first. The room was clean, good WiFi. The hotel does not have own restaurant therefore needed to walk about 500 m to the food center for breakfast. All the rest were really okay, good hotel, peaceful environment. Staffs are rude. Management should provide some training to them. Others ok.
My third time staying with them. The refrigerator emits too much heat and it is not working. We did not inform the staffs as we have no use of it. Shower room is very "musky" and mould can be found on the the shower room walls. Walls in the room have watermarks caused by humidity too. We did reflect to the staffs and they offered to change the room for us, we wanted the same room type and I think they did not have, so we end up not changing the room. Hope it will be a better experience the next time we stay over, and they can work on the room hygiene. Recommended hotel: clean, very good service from the staffs, near to sentosa (only took 2 bus stops from the hotel) To reach the hotel : stop at outram park MRT station, take bus 143 and stop after st. Theresia church bus sop. The hotel is on the right side. Stayed for 2 weeks. Room is very value for money. Location to Vivo City mall (has everything you need, from food to shopping and movies) and Sentosa is convenient. Also has public buses to MRT stations and is not too far from the city. Staff are good and generally leave you to yourself. Room is old but clean and spacious. Walls are thin and neighbours/room service can be very noisy in the mornings. Toilet is clean. Water pressure and heater are excellent. Wifi connects to phone but not to laptop. Air conditioning is good. We booked for Harbour Ville for a 3-night stay last August via Agoda. However, due to unforseen circumstances at the Philippine airport, we were unable to proceed with our stay. My booking with agoda had a no-cancellation/no-modification clause so I thought the reservation will be wasted. Thankfully, the staff were very considerate and helpful. They allowed me to move our stay to a later date. We were able to stay there last October. The facilities are a bit dated, but overall clean and pleasant to rest in after a whole day of activities around singapore. This is our second stay here, and I will gladly stay here again if I find myself in singapore again in the future. 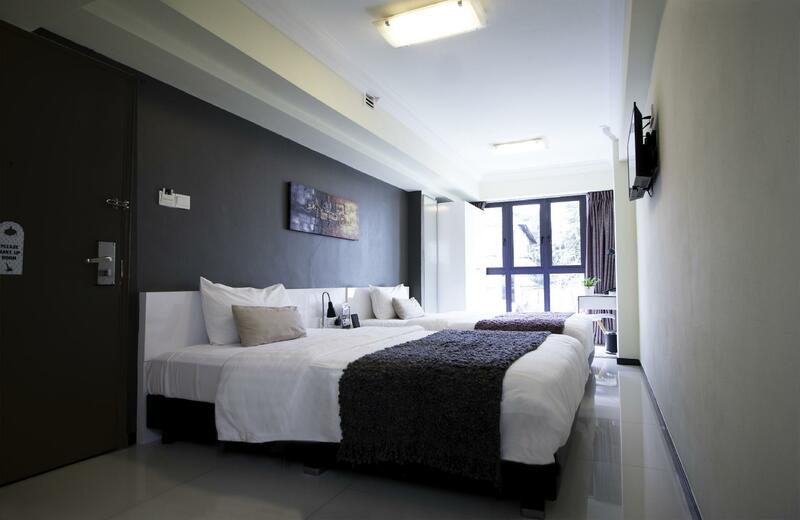 Rooms are smaller in comparison to your big named hotels but they are clean and comfortable. We told them the TV wasn't working and it was promptly fixed. It's also just a very short taxi ride from everything. As an alternative, there's also a bus stop close by. The room was clean & spacious enough for two. Very comfortable & the aircon was cold. One bad thing about it was that the toilet has a weird smell. which leads to the rating for cleanliness 4/5 stars. The staffs were very nice and accommodating. Very near from Bus Stations leading you to popular destinations in Singapore. the hotel is strategically located near to harbourfront, to vivo city to sentosa and even to the cruise terminal. the rooms are adequate in size, a great value for money. clean rooms, take the rate inclusive of breakfast. it is just adjacent to a catholic church, quiet area, the vicinity is OK. you can basically move around by bus or taxi or you can take the metro(train) from harbourfront. we were 2 families of 7 people occupying 4 rooms and we were all satisfied. we will definitely book in this hotel again in our future trips. This hotel is inexpensive if you compare with other hotel about the same price. It's comfort and clean. After trying several hotels in SG, this is a good one unless price is not your concern. You can take bus about 4 stops to get to subway or by simple walking. 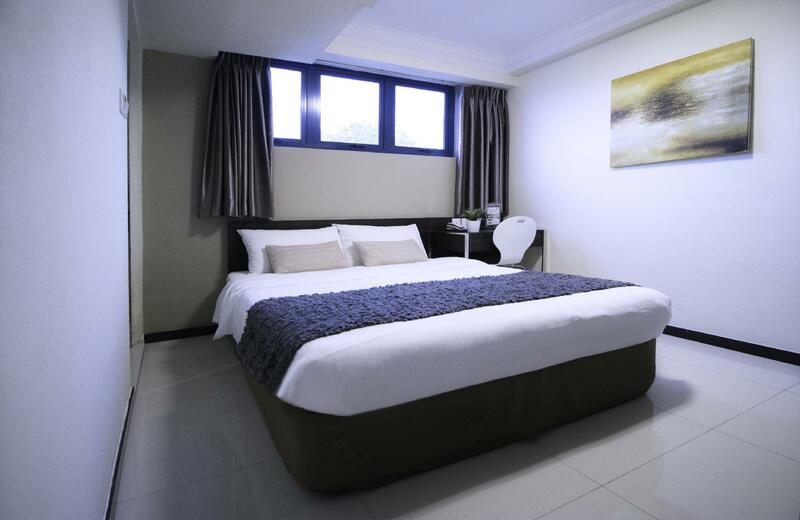 This is the nearest affordable & comfortable hotel near Sentosa Island. Bus stop is just in front of the hotel. MRT & restaurants are not walking distance. Since we are traveling with 3 small kids, taxi is the best way of moving around. Ask the front desk to call a taxi for you since most taxis don't stop / already hired if you wish to take them from the bus stop. I booked two rooms and 1 had a cleanliness issue with one of the rooms. I alerted the staff discreetly and they attended to it promptly and accordingly. Always check the beddings and extra mattresses as soon as you enter the hotel room. But other than that, the room is fairly clean. It was a good one despite what others had to say in their review. I managed to get a good room and staff were friendly and helpful. I didn't try the breakfast after what has been said by other travellers in their review. The only drawback is that it took us 20 mins of walk to the nearest amenities eg MRT station, shopping and eateries. So, we didn't spend a lot of time in the hotel, except for sleeping. What it is worth the money.